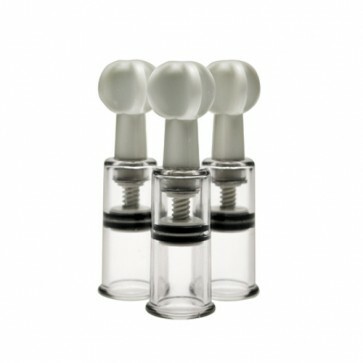 Enjoy powerful suction with this triple set of demurely sized suction cylinders. Just apply to any area that would benefit from increased sensitivity and blood flow, no pumps or accessories needed. 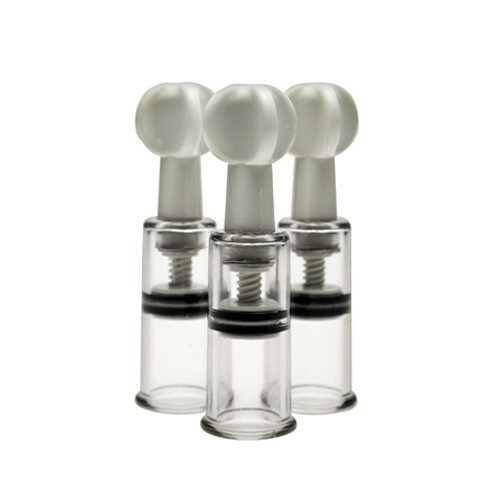 These self contained suction devices work with a simple twist. Silent, simple, and discreet, these suckers can be taken and used practically anyway for on the go stimulation. Lubed internally for smooth movement and a strong seal that makes for sublimely powerful suction.